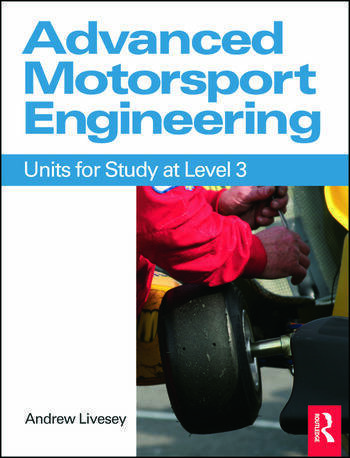 Advanced Motorsport Engineering is an essential textbook for students on Motorsports Engineering courses and a handy reference those already working in the industry. The book covers advanced topics in motorsport such as diagnosing and rectifying faults in engines, chassis and transmission. Sections on composite materials and advanced engine management systems provide a complete coverage of level 3 courses. Each unit in the IMI and EAL syllabus is covered in full and illustrated with photos, diagrams and key learning points. The chapters can also be easily matched to the BTEC National course structure. Motorsport is not just about the spectacle of some of the world's most popular and famous sporting events - it also plays a crucial role in developing new techniques and technologies. Getting a qualification in motorsport could be the first step in a career in one of the most exciting and challenging sectors of high performance engineering.